“Please share this with your family and friends . 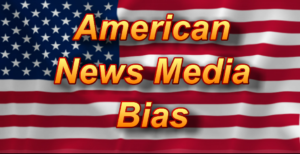 . . who think there still is something they used to know as journalism and an “unbiased media” working to benefit the American people. These outlets are nothing more than leftist propagandists who hate the idea of America, hate the Constitution, hate capitalism, and hate YOU!